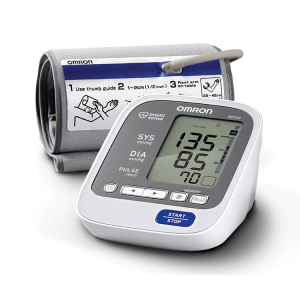 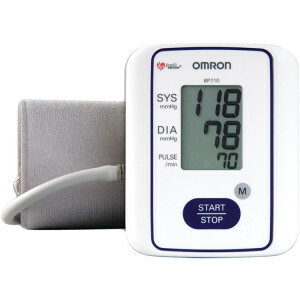 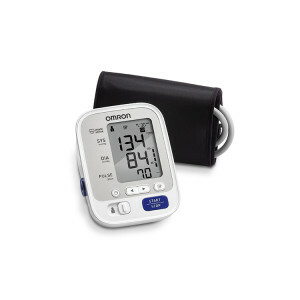 The Omron 3 series wrist blood pressure monitor is lightweight, portable, convenient and simple allowing users the benefit of being able to check their blood pressure on the go. 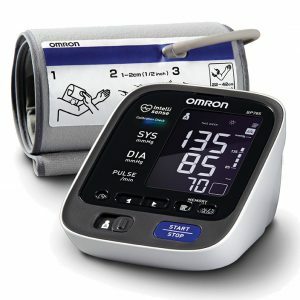 Plus, the exclusive Advanced Averaging technology displays the average of the last 3 readings taken within 10 minutes. 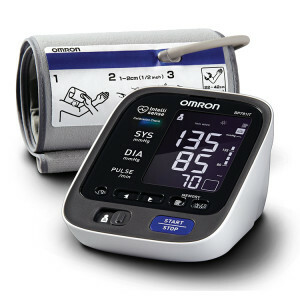 One Touch Use: Easy one-touch operation allows blood pressure monitoring that is both simple and accurate. 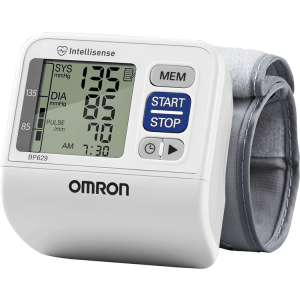 14 Memory Storage: 14 memory storage allows you to review the last 14 readings with a touch of a button.Irregular Heartbeat Detector: This monitor can detect Irregular heartbeats while blood pressure is being measured. 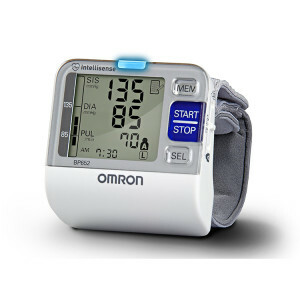 If an Irregular Heartbeat is detected, an indicator icon will appear alerting you so you can consult with your medical professional.Includes: main unit, wide-range d-ring cuff (9″-17″), instruction manual and quick start guide.